A United States Congressman has apologized following publicized reports that he was investigated by the FBI for skinny dipping last year in the land of Israel. According to fellow congressional members, a number of congressmen traveled to the country last summer as part of an official delegation that served as an educational trip for new members of Congress. During the visit, the men held a party at the Sea of Galilee, a location that is known as being the place where Jesus preached many sermons and walked on water. However, as the more than 20 congressman were drinking and swimming in the presence of their wives and, for some, their children, one lawmaker decided to strip naked before jumping into the water. 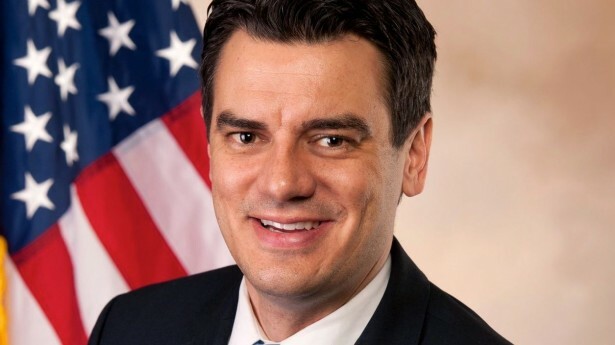 Republican Representative Kevin Yoder, 36, of Kansas, admitted to skinny dipping in the Sea of Galilee, and has issued a statement to Politico about the matter. When Majority Leader Eric Cantor of Virginia found out about the event, he was enraged. Although he was present in Israel, he did not attend the party. According to reports, he called his fellow congressional leaders to chastise them about the matter. “Twelve months ago, [Cantor] dealt with this immediately and effectively to ensure such activities would not take place in the future,” stated Chief of Staff Doug Heye. The FBI also investigated, but did not take any action against the representative. Yoder, a professing Methodist, has been in trouble before for concerning behavior. In February 2009, he was convicted of refusing to take a breathalizer test after being stopped by police. He had been pulled over by police after 2 a.m. for speeding. While he did pass a field sobriety test and was allowed to drive home, he pled guilty in court to refusing the breathalizer test. The congressman is also recognized for his support of homosexuality. While he agrees with the federal Defense of Marriage Act (DOMA), he has been endorsed by the Kansas Equality Coalition for his furtherance of the “rights” of homosexuals as a lawmaker. He served as a state representative from 2002 to 2011 until being elected to the United States House of Representatives.